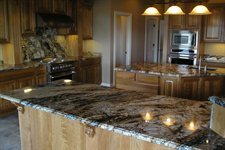 If I am selling my home what type of granite is best? Upgrading your kitchen with granite countertops can increase your home's resale value, or at the very least help it sell faster. However if you are remodeling your kitchen just to sell it, then its important you stick to neutral colors when doing the upgrade. We can help you pick a color and texture that will optimize your home's resale value.